Blog | Farm Tour of America: The Blog | 3,000 miles. 11 riders. 1 cause. Here is a taste of what we learned over the course of the ride. It is derived from our notes, video, and e-mail correspondence with our hosts. For anybody out there interested in growing their own food, here are some useful tips. Role in the Food System: This area is near White Salmon, Washington, near the Hood River County. It is an area in relatively high elevation near the top of the Gorge hills. The main crops of the area are fruit trees and wheat crops. Less than 1% of the pears produced in this region are consumed locally. Supposedly, there are so many pears grown in this region that if you are eating an American pear during winter there is a 50% chance it came from the Hood River County. The wheat grown closer to the river is shipped to Asia to make noodles then shipped back for consumption. Ben grew up in the city, having no farm experience, and four years ago decided to dabble in the agriculture lifestyle. His reasons were related to the concept of an intentional community, and the great issue of food security. He is now focused on farming because he wants to help create a sustainable local food system. Ben diversified is plot to strengthen the resiliency & consistency of yearly harvests. With this came smaller yields per crop. A hefty challenge for him is finding nearby buying locations that are transportation cost effective. Moving away from monoculture farms is a difficult because yield reductions exclude him from selling to large buyers. He hedges the market by selling directly to restaurants and farmer’s markets. Opportunity: Ben is a fortunate farmer, in one way, due to his socio-geographical location. Gorge Grown is an agricultural umbrella organization. A well-organized network allows small yields get to where they’re needed. The group shares this info and much more with producers, consumers and everybody within the five Gorge counties of Oregon and Washington. Ben’s liaison with Gorge Grown, Sarah, tells us that he has a really opportunity as a mid-sized farm to make this his only occupation. We say it can’t be done without participating in the plethora of resources that a strong network has to offer. Role in the food system: A young transition farm that is slowly expanding from a test garden and has just recently started to offer “garden shares” through a CSA model. Heavenly Hills Harvest grows root crops, herbs, greens, squash, and a few types of melons. She now offers 30 garden shares a season. She told us that she wants to keep it small because that way she can get to know all of her customers and vis versa. In the valley, other large-scale farmers are catching on to the CSA model, some offering 200 shares a season. But most of her land is leased to a man who owns an organic beef company. The fields are filled with organic oats that are sold as hay. In 2011, 25 acres of he will be converted to organic butternut squash. Home to the greatest concentration of Washington’s wineries and vineyards and gets bragging rights as the first established viticulture area in the state. And for those who think beer and wine can’t coexist- Yakima Valley also grows 80% of hops in the U.S. Latinos account for about 40 percent of the population in Yakima County. Merritt’s land sits across from the Yakima Native Reservation and the Yakima River where coyotes cackle like party-goers late into the night. Challenge: Merritt is not certified organic by the USDA. Her farm sits in the middle of a sea of industrial hop & fruit fields. When they spray, the chemicals get on her food but it’s OK as long as they notify her of a spray on especially windy days. She is partnering with USDA to install pollinator borders and other habitat enhancement activities. However, they do not experience measurable drift. This lack of certification is major challenge that disrupts the integrity of her organic farm. However, she anticipates certification with the State of Washington by October 2010. In the future she hopes to partner with a local university to offer credit courses. At the local farmers market she is one of two organic farmers. But the trend may catch on. Some farmers in the area have started their own CSA box. They not organic but they are reconnecting the community with their farmer and producing food for local consumption. They may serve as many as 200 customers per farmer. Merritt thinks that once people start learning about where their food comes from a shift towards organics will take place. While her CSA is not the biggest, she has the niche market cornered and is in position to push the envelope. Role in the food system: Lisa gave us a tour of her 3 acre backyard which was converted to landscaped masterpiece of edible and decorative plants. A backroom of her home serves as a classroom for locals interested in anything poultry or plant or insect. Puddle Ducks grows a variety of herbs that can be used to cook, make crafts, and brew tea. They also grow and sell flowers and have a cutting garden where customers can harvest their own flowers, herbs, fruit, or vegetables. Challenge: Communicating their message is a difficult task in the Pasco area. For one, Roger & Lisa enjoy having their backyard used a pit-stop on a migratory flyway for birds. It is an essential stop for the birds in a river-banks area affected by habitat loss due to urban sprawl. The birds leave decent fertilizer and mow the lawn. Bu for many, this is seen as a nuisance. It is key to explain the benefits of providing ecosystem services in a personalized and anthropocentric terms. Lisa is rising to this challenge by offering educational classes to adults and youth of Pasco. Opportunity: Puddle Duck Farm plays a dynamic role in the Pasco community. Hosting youth groups, selling herbs & teas, raising poultry, offering wildlife refuge and landscape consulting are most of the farm’s realized services. More wait for a spark of creativity in the realm of possibilities. A diverse farm means more than ecological services but also educational, experiential, political, economic, sociological and artistic services are needed in order to be truly sustainable. Laura’s chicken raising classes, gardening class and consulting services are a great asset to the community. To us, her place embodies food sovereignty, not for the food production volume but for the various ways she branches the farm into the city of Pasco. Role in the Food System: We rolled into Monteillet Fromagerie, owned by Joan and Pierre-Louis Monteillet (pronounced mon-tee-ay) close to Dayton, WA. Fromagerie translates to “cheeserie” in French. “Monteillet Fromagerie is the first artisan-farmstead cheese maker in the lush wine country of Walla Walla Valley. Featuring a Grade A dairy and cheese making facility, the Monteillets have been producing traditional hand-ladled chevres (goat) and brebis (sheep) milk cheese since 2002. In addition to pasture-grazed American Alpine Goats and East Freisan-Lacaunne sheep, the farm raises chickens and ducks for egg production, as well as whey fed pigs.” The cheeserie included a large garden, camping space, two goat fields, a swank timber-frame-and-tile outdoor shelter built for family-style meals and doubles as cleaning and processing space for vegetables. Challenge: The cheeserie now features a Grade A dairy and cheese making facility. They saved for years to complete the upgrade and cleaned every tooth and nail to prove to the State that their facility is up to par. One of the challenges with cheeseries is the cost of cleaniness. Whether small-scale or industrial the investment cost is similar. Economies of scale reign supreme in the cheese world. Thus a major challenge is getting access to local market because of the high cheese price coupled with a lack of governmental incentives for educational school tours and the producers. Opportunity: The great aspect of the Montelliet Fromagerie is it educational outreach. The cheeserie offers 2-day cheese making courses for adults interested in sustainable food production. It is coupled with a fine evening of dinning and wine on their new outdoor kitchen and patio. They also are involved with interns to help ‘students of life, cultural exchange, and to foster respect for agrarian lifestyle contrary to urban and vice versa’. The educational component is a necessity to promoting the Slow Food Movement. They are working on capitalizing on ‘educational rewards for local children to visit a small sustainable dairy farm by creating a venue for understanding our food production systems’. Challenge: Keri and Derek want to sell their food locally. “It’s not about the big guys versus the little guys,” says Derek “And it doesn’t matter where you shop, it matters where their food is from.” In the past Wilson Banner Ranch sold to Safeway. Joe Wilson drove their sweet corn 3 hours north to Spokane, thinking it would be sold in the Spokane area. As the farm truck was unloaded he discovered that it was to shipped back to Lewiston, 20 minutes from their farm. The store manager explained that it is company policy to buy only from the corporate warehouse in Spokane. Recently, it has also become policy to NOT buy directly from producers. Albertson’s Save On Foods and Safeway do not buy local produce, though they both use to. People regularly inquire about the location of the store’s produce sources. So much so, that the Clarkston Alberton’s manager wants to source locally and directly from producers. Keri & Derek advocate for more transparency in the food system. Every individual farm has the freedom to grow how ever they see fit, provided their choices are in compliance with standard safety practices, but their biggest challenge is making our food system accessible and transparent for consumers. Buy fresh, buy local! As Keri says, “We have maintained a great relationship with Rosauers(employee owned), Winco(wholesale type store with local management), and our local Food Co-Op, we also did 4 farmers markets per week for the summer in a 40 mile radius of our farm as well as our on farm stand. We have been moving around a thousand gallons of cider a week through our supporting local stores. Wilson Banner Ranchs’ goal is to pick, pack and deliver same day fresh to all markets. This ensures the highest nutrient content and flavor in the produce. “Our observations and conversations at the markets where we talked to the customers directly suggests we are on the right track and the trends in corporate organic are not promising. Corporate organic has usurped the grass roots movement to the point that only one of the produce vendors at the markets we attend is certified (they are also the largest grower) and they are driving in from over four hours away. The cost of certification drives up the cost of the food thus forcing growers to require premium money for the produce. This also requires that they spray more to get the perfect unblemished ‘organically certified’ fruit you see in the grocery store. “Most spray applications in a half conventional/half organic orchard are going on the organic side (if you use less viable products they often require higher frequency which means more exposure to the applicator and possibly to the consumer). The Washington State Horticultural Show last week presented alarming numbers. Organic growers are not making the same margin they were just two years ago and it has become less profitable (to barely breaking even) for them to apply the triple to quadruple rates of organic chemicals necessary to produce the product that consumers demand. “Due to this our current system here at the Banner Ranch of using only absolutely necessary products (to the point of wasting and damaging some crops because we refuse to be chained to the organic system of overspraying certified chemicals that they have not yet proven to be safe long term) we have no residual buildup in our soils or any chemical runoff in our stream. Our excessive caution has rewarded us with customers from all walks of life, including those with damaged immune systems, allergies and health concerns about the organic certification process and all chemicals. “Transparency just doesn’t sum it up. We are vociferous about being honest. I can list on one hand all of the applications we did to all of the orchards in the last two seasons. I would wager no other commercial grower could do that, especially not one tied to the organic process. “Small local farmers who are tied to their water source and tied to their land are far more motivated to maintain the earths health than those tied to their shipper docket and a government controlled system. Every year we watch the market fill with concerned customers and we talk to them about our practices. We invite people onto our farm. We give tours. In October alone we had more than 12,000 people come onto our property to do tours and to be educated about agricuture. Farming is an enormous responsiblity. I always recommend that people look at the U.S. goverment site for organic certification and it’s practices. Know what you are eating. If you buy something shipped in, know that the likihood that they followed U.S. protocol is virtually nonexistent. Opportunity: Derek has a full-time off-the-farm job selling agriculture conservation equipment. The decision was made to use the the till-free or sustainable label instead of going for organically certified which the family felt unneccessary. Soil can be used to sequester carbon when it is no tilled, however defining exactly how much CO2 output saved is hard to define. For Derek and Keri, climate change is a more important battle to fight than synthetic nutrient application. Plus Derek comes from a family that pioneers no-till technology. This equipment has the power to drastically change the agricultural industry. They also use a bare minimum of chemical inputs, most of which are organically certified, including mulch and compost on field crops. Role in the food system: An urban family farm with nearly twenty years of experience with greens, vegetables, and cut flowers. Josh and Kim’s family were our hosts. “I have been farming in Missoula for 20 years ago. I co-founded Clark Fork Organics in 2000 with my wife and a partner,” Josh congenially explained. 10 years ago, when he bought the place he didn’t even look past the kitchen. “You can’t make quality soil” but you sure can make a kitchen nice. His partner Kim Murchison is the current director of operations. The land their farm sits on also happens to be above a giant mobile aquifer. She uses the well to irrigate crops in a region where the rainfall average is 13 inches a year. What makes Kim’s farm so productive is that it sits on a lake-bed that is over a millennium old. Rich sediment deposits from glaciers left an unbelievable valley ripe for farming. Currently, their place is 2 acres (owned) plus 6 acres (rented) and includes rotating chicken coops. The small size may be deceiving but the yield per acre was probably the highest we saw on the entire trip. Challenge: Kim’s cash crop is salad greens also known as mesclun. They harvest every four days on Clark Fork Organics. Most Fridays they harvest over 100 pounds of leafy greens for the Farmer’s Market. In Missoula there are now three Farmer’s Markets a week, minus winter. They sell to two farmers markets plus 7 restaurants and one independent grocery store. As Josh says “the money is in the leaf”. This is a difficult position for him because he needs to make money but knows that diversity is essential. He does not want a monoculture. So finding the balance between cash crops and other products is difficult. However, they do grow a myriad of vegetable varieties in smaller quantities. We tried to balance his scale by weeding a neglected onion patch. His main challenge is finding ways to get people buying less-popular vegetables. Opportunity: “In the fall of 1996, I was able to work closely with a small group of UM faculty, City staff and some of Missoula’s non-profiteers to start the Garden City Harvest project, the Program in Ecological Agriculture and Society. PEAS works closely with two Missoula non-profits who specialize in, respectively, hunger prevention and food security: The Missoula Food Bank and Garden City Harvest. In the 2001 growing season the PEAS farm grew more than 52,000 pounds of produce for distribution to low-income families. Josh’s place is great because we learned that pairing organic farming with university education is a great way to get organic farming some stable ground. Josh is an instigator. He used to be USDA certified organic. After years and years of dealing with USDA’s non-transparent ways, he helped found an organic farmers coalition. The Missoula-area farmers created the “Homegrown” label as a replacement to the national organic certification program. They founded their label with an aim of higher quality and helping customers recognize local products. Their efforts are described in an Orion article. They all took a pledge to stay organic and share acquired farm knowledge. One of the key problems with the USDA, for Josh, was that when they came once a year and made everyone nervous with their sterile swabs then mentioned that they saw other farmers were practicing the same farming methods. When he asked for details they couldn’t elaborate due to confidentiality. Now Home-Grown Missoula has bucked the USDA system and sells their organic produce to local stores. Their local, organic produce sells out the nearby grocery store before the USDA produce every summer. Role in the Food System: The McFarlaed-White Ranch is a third (about to be fourth) generation family ranch. Nestled next to the the Crazy Mountains and running down to the Musselshell River Valley, the ranch is 108 years old. Snuggled up against the Crazy Mountains and sweeping down into the Musselshell River Valley, the McFarlane-White Ranch is a three generation family operation. “As legend has it, this was a rather shady place, an outlaw stop on a rustling trail. Today, Mac White operates McFarlane-White Ranch. Under his direction the ranch uses all of its own resources in supplying hay, barley and grass to feed the commercial cattle herd. Mac has steadily guided the ranch, building a profitable commercial operation while carefully preserving some of the most pristine land in the western United States.” Recent addition to the ranch is the Crazy Mountain Lodge where visitors can come explore the wilderness of the mountains while still having an enjoying place to relax on vacation. Challenge: When the McFarlane-White Ranch was in its early days Mac’s grandpa straightened out a stream for irrigation purposes. He unknowingly disrupted fish habitat for years to come. But today the family is working to restore the stream. They want to add sinuosity back to the stream channel. This will improve the habitat for fish rearing by adding in curves to the stream. The current project involves digging out new sections of the riverbanks and adding stability to other parts of the banks. Instead of taking government handouts available through a state granting agency they are doing 100% themselves. They believe that returning the stream to a more natural state is the right thing to do because they know it was altered by their family. Opportunity: Since the McFarlane own the entire side of a small mountain range they capitalize on making their meat as sustainable as possible. Their herd is over 5,000 heads strong. The animal essentially live on their own. They eat grasses found on the ground plus hay and barley collected from other parts of the McFarland property. They spent most of their lives outside, toughing it through high winds, bitter winters and hot summers. The only thing that makes them non-organic is that they are sent to a feedlot to be fattened before going to the slaughterhouse. In a rare case, Mac will give a cow a shot of antibiotics in order save an sick cows life. The cattle on the ranch are free-range and organically grown. This means they make top quality beef for Americans to enjoy across the country. The ranch is nearly self-sufficient in a hard, cold land. Challenge: Erin and Jim have had great success on a farm only 2 seasons old. The pair has their work cut out for them though because the soil type is characteristically difficult. The soil is in a semi-arid region where annual precipitation is less than 13 inches a year. In this area they rely on two on-site wells for water. Erin tilled her soil last season. It is tough sandy soil that is not loamy. There is very little organic matter. The largest challenge for Badger Rock is working the earth into quality farming soil. Opportunity: Erin seems to have struck a chord in her locale community. It is area that values true independence and has a do-it-yourself mentality. It recent rise of farmer’s markets has helped Erin’s business and she had a big part to do in creating them. She sells directly from her farm and and at the Yellowstone Valley Farmer’s Market in Billings. The long-term plausibility of her farm seems realistic because of the community interest and big-city proximity. Role in the Food System: In Lemmon, South Dakota we met with the local journalist who connected us with an impromptu tour of the nearby Southwest Grain elevators. South Dakota grows tons of grain (particularly wheat) so elevators are scattered throughout the area. Tanner, LaQuita’s son, gave us some background on market fluctuations between high and low protein grain for different sectors of the food industry before walking us through the facility, which is over 100 years old. Some of the original wood infrastructure is still in working order. A grain elevator is often the first place a farmer ships his or her grain once it’s ready to leave the farm. At the elevator, the grain is graded into different qualities (based on nutritional content as well as how much chaff is mixed in) and stored in giant silos until enough can be accumulated from other farmers to merit a train stop. Then the grain is shipped away to for the next phase. It’s most likely that they supply the Northeast and Midwest with breakfast cereal. Challenge: In a sea of wheat fields the area has hardly any local grains for sale. Due to economies of scale, wheat is especially difficult to produce profitably on a small-scale. Harvesting grain is usually done with large machinery. The shift towards local is totally feasible, from an agro-ecological perspective, but supplying the area in an economical manner is the key challenge. For Southwest Grain, their real challenge will be their ability to move product should an energy crisis occur. There entire enterprise is based on increasingly costly petro. The shift to keeping some of wheat local is the first step. Opportunity: Tanner estimates that about 70% of the grain that comes through his elevator is bought by General Mills. This is huge opportunity for local growers who need to sell their product. The operators provide a service by buying small quantities of grain year-round from farmers and packaging it into big enough shipments to make it worth the time (and train fuel) of large purchasers like General Mills. In addition Southwest Grain has improved its loading capacity. The company installed new truck weights thus allowing shorter wait times for truckers. This means that Southwest Grain can handle more trucks. It’s good news for small farmers who want to sell product the local grain elevator and keep some of the profits in the Lemmon community. It’s also good because they can send less than full trucks to the elevator when the price is especially good. Role in the Food System: Rosin Organics is a certified small grain farm and cattle ranch. They also have goats, chickens, geese, ducks, and a cow used to produce a variety of food products. Their garden is a lush 0.12 acres. On the 1,100 acres outside the garden they grow wheat, millet, and raise some cattle.Julie personally ferments and pickles many of the vegetables to be eaten year-round. She makes her own cheese, milk and ice cream as well. They are one of very few organic farmers based in permaculture techniques to reside in the Dakotas. Challenge: Though Bill and Julie have astounding productivity with their produce and animals, they do not have a market outlet. They are truly a bio-diverse oasis in the midst of mono-cropping corn, soybean, and wheat. Bill told us that there is nearly no demand for their organic products. One way the couple can improve their sovereignty is to continually host cultural exchange events in nearby cities. The culture of South Dakota does not yet see the importance of local, organic foods. They’re knowledge of the land is quite extensive and sharing it with neighbors will be key to passing the farm onto the next generation of farmers. Opportunity: As far as we can tell, Rosin Organics is one of 3 farms that puts perma-culture into practice. Essentially perma-culture requires ‘going wild’ and tweaking natural ecosystems to produce more than they would without modifications. On their free-range homestead they allow different species to keep others in check. For example, the chickens eat the bugs that would otherwise make the cows sick. For two people to manage a 1,100 acre farm is incredibly efficient. Perma-culture concepts are their strength. One technique they may try soon is to spray raw milk on their fields. This adds living bacteria into soil microbiota and reuses resources they already have to increase productivity. Role in the Food System: Kelly doesn’t grow food for sale. But she does harvest wool from her lamb and goats living on-site. Challenge: Living close to Aberdeen helps her business but the biggest challenge is finding a strong local market. She ships a large portion of her product out-of-state via internet sales. As with Rosin Organics, people are generally not interested in sustainable lifestyles. For Kelly and family, the biggest challenge will be finding time to market effectively in her local area. Opportunity: Kelly has a great amount of autonomy on her lamb carding and wool operation. She raises, sheers, shapes, dyes, spins and knits all her wool and fiber products on the farm. Just recently she was able to transport the carding machine up from Viroqua, Wisconsin. By doing everything on site, she is able to oversee nearly every step of her sustainable operation. Role in the Food System: The Fonder Family runs a large dairy operation with 80 heads of cattle. They recently converted to organic raising. The cows diet consists of home grown oat, barely, corn and kelp. They are the only dairy farm in the area. Challenge: Over the course of the evening Janine and Bill expressed one of their concerns about the future of the farm. Bill comes from a large Christian family of farmers. For some of his sibling growing up on a farm was enough. They left the farm when they became old enough, leaving it up to the rest of the family. The couple is concerned that their children will not be interested in maintaining the farm as they grow older. If this is the case, then they may see their organic farm transition to an easier to maintain industrial farm field. “When I was growing up, all of these,” he said pointing to the expanse of fields that framed his property “were dairy farms.” Now their farm is cornered in by corn and soy crops. Challenge: One reoccurring theme of the ride was a distaste for industrial corn and soybean subsidies. This is an obvious challenge to small-scale organic farming. One person who articulated this well was Andrew. Currently, large-scale farmers who produce corn and soybeans receive the lions share of agricultural subsidies. This allows big-business to put a variation of corn or soy in nearly everything we eat. It allows the US government to buy up the surplus and sell it quickly on the international market below the world price. This is a practice called ‘dumping’. Monoculture farming continues because of these subsidies. This is a huge barrier for farmers like Andrew. These subsidies can could be relocated to farmers who are using ecological principles in their farming, he says. For many who wish to get involved in small-scale farming a subsidy to help with start-up overhead would go a long way. Opportunity: On the bright side, subsidies do exist for those buying into community supported agriculture in the Madison area. Most Madison insurance companies offer a $200 check for buying into a local CSA box. This probably contributes to the success of Green Spirit’s membership. The biggest insurance companies in the metro offer this because it is seen as an investment. It keeps money in the local community. The long-term stability of a healthy food supply is ensured as well. Challenges: The next big challenge for Innovation Kitchen is to supply Chicago markets. Iowa County rests within 250 mile radius of the mega-city. The 100-mile diet is not practical for localivores in this sprawling metropolis. The Chicago Public School system feeds 400,000 meals a day. The students are upset over the “nasty nachos, mystery meats and oddly colored chicken patties” served in their cafeterias and they took their complaints to the Chicago Board of Education to push for healthier school meals. A major food provider, Chartwells, is reacting by seeking to source over 20% of its produce to local farmers. But what Innovation Kitchen seeks to do is break up those large contracts. They want to build selling power by networking small-scale farmers so that they have market power equal to big-box food service providers thus creating a wireless network similar to the human brain’s neural network. This is a tall order for the up-and-coming Innovation Kitchen but so was the unveiling of new facility in July; the energetic group of disabled food processors and professional people are set on the next horizon. Opportunities: The Hodan Center was able to remodel their enterprise and convert it into the Innovation Kitchen with the help of a grant. They received a grant for $750,000 from Wisconsin Department of Commerce and raised another $750,000 from the community. This allowed them to upgrade to industrial-scale appliances like a dehydrator and a flash freezer. It has also given them the opportunity for their employees to gain professional certification in food processing skills. And now with a formal partnership with the Iowa County Area Economic Development Corporation, they can offer professional business advice to farmers. Role: Greg David owns 20 plus acres of old corn and soybean land which he is revitalizing. He tells us there are 3 ways to interact with the land. A negative way which is exploitative. It sees things natural gifts as resources which can be manipulated for capital gain. There is the balanced way, sustainability, which a current trend. But then there is the largely hidden way, a positive way to interact with the land through restoration. The transition to his farm was not easy, learning the ropes of permaculture techniques required years of experimentation. But the first thing he did was was plant 7,000 trees on 20 acres. Currently, he has 3 acres of prairie (one of the most devastated – and most plant biologically diverse – ecosystems). One grass plant can grow to be thousands of years old. He aims to make layers of product from one thing. For example, he uses fish feces as fertilizer, carcass as compost, and flesh as meat. However, he realizes that restoration is very hard for low to middle-class farmers. He explained that it’s difficult to recapitalize after investing in corn because a single combine can cost $200,000. For him, he took it one step at a time and now has a certified compost center and farms ½ acre for local food production. Challenge: Greg David is a part of a 50 member network organized to create appropriate-scale technology. Together they have developed a biomass gasifyer that results in a carbon negative process. The device uses plants to capture CO2 from the atmosphere and the burning results in synthetic, or syn, gas. 50% of the burning gas is captured in the form of charcoal while the other 50% turns in carbon monoxide. The biomass David uses is cattails which he says produce 2,5000 gallons of biofuel per acre plus they offer natural sewage treatment capabilities. This number depends on a number of variables and the study source. He produces enough fuel for 12 people to drive a car per year, roughly 5,000 gallons a year. Corn is a low efficiency biomass but things like sugar beets, sweet sogum and kelp have much higher efficiency ratings. The challenge now is to get this device manufactured and to have more efficient crops grown for fuel. Opportunity: The Wok-It-Stove is a unique twist on the Rocket-Stove. It is a re-purposed stove used as an outdoor stove-top. The device is 2 times more efficient than a regular wood-fire stove and 2-3 times more clean burning. The machine requires just a few sticks and twigs from the nearby ground and heats up to 2,000 degrees. It is a stratified gasifyer that vaporizes the twigs by limiting the oxygen. It can be used to cook with an Asian wok or modified to have a skillet with 3 different zones, high, medium, low heat. This is a great device that can replace a conventional stove-top or barbeque. Role in the Food System: Andrew and Rachelle are growers of over fifty types of crops using natural methods. They list commitments to fair treatment of workers and biodiversity as part of their ‘growing practices’. This farm just finished its third season, this summer being the first time Rachelle worked full-time on the farm. The couple manages 3 ½ acres of certified ‘natural-grown’ fields with the help of WOOFERs. They have housing set aside for the farm apprentices. Together they sell to 25 CSA members, 3 farmers markets plus a few local restaurants. Each year they integrate better bio-dynamic practices and try to save their own seeds. Challenges: Like many farmers, saving seeds is a challenge. Rachelle described the basics of seed saving to us. It starts by identifying the male and female plants, both create vegetables so it can be difficult. Next locating, separating and drying out the plant seed. Isolating the proper seeds is what makes seed saving an art. There are so many to choose from that is often difficult distinguishing the best one. Then you must store them in a cool and dry place. This is often a time-intensive project and difficult to begin for farming rookies. Plus it is much easier to go to the store and buy the seed. However, if food sovereignty is a concern then seed saving is crucial. If you have a strong community of box-share buyers then they rely on your ability to have seeds, Rachelle explained to us. It puts control of your own life in your own hands, or in your farmer’s hands if you’re a CSA box member. Ideally, she thinks this control belongs in the peoples hands not the companies. That is why they are trying to learn more about seed saving every year. Opportunity: From our perspective, the biggest opportunity that we saw Earthkeeper Farm tackle was organization. As a third-year farm it was impressive how much product they produced as beginners. We think organization played a strong role in their success. The barn held an array of tools each with a labeled and designated place for storage. The crop cleaning area was well-kept as well as the cooler and shelves. The field itself was spatially organized and it was clear they put thought into where to plant, when to rotate and leave areas fallow. Organization is key to efficiency and these farmers saw greater success because of their ability to capitalize on the opportunity. Role in the Food System: At Phillips Orchards & Cider Mill, we tried fresh apples that were actually fresh! There, at the 158-year-old orchard, the couple just finished a newly remodeled rustic-style storefront where they sell cider, apples, donuts and honey. The family owns a 175 acres of which 25-30 acres are consistently in production. They have, roughly, 10,000 trees that produce 10,000 to 12,000 bushels a year. There are 23 varieties of apple plus pears and peaches dot the landscape as well. Nowadays they are doing quite well but that hasn’t always been the case. Back in the 70’s and early 80’s they sold 70-90% of their apples at the wholesale market, to be made into apple juice. In the mid 80’s there was a huge influx of apple juice to the world markets, mostly coming from China and eastern European countries such as Poland. After this the world price bottomed-out. Brian’s father had to close down the orchard and lease the land. After the price rebounded, his father took back the farm and now Brian has made the decision to take his fathers place. He sells only his surplus to wholesale markets as they move into the seventh generation. Challenges: Reducing product loss is difficult and requires capital investment. For instance, their land is now surrounded by state wildlife territory on three sides. Deer are a definite problem. Brian wants to start turning his orchard over to smaller tree varieties, an industry trend, so harvesting is easier. However, he knows that deer can jump fences as high as eight feet tall. Before he can buy into shorter trees he must first accumulate the capital for investing in a fence. Insect pests are also a problem that he deals with by spraying pesticides. He claims it is nearly impossible to run a profitable orchard without the use of chemicals. The label ‘organic’ is often misleading because sprays come in such a variety of combinations, some as synthesized organic compounds others are an array of different chemical combinations. He says it is important to know what kind of spray is being used. He doesn’t like to use chemicals but he couldn’t keep the business afloat without spraying. And of course, chemicals are expensive so from an economic standpoint, less is more. He prefers to minimize sprays and use the least detrimental compounds without damaging the bottom-line. Opportunities: Phillips Orchard is strategic in how to keep their food local. They want to expand in order to do more direct marketing. The two are aiming to open a second place just off US Highway 127. They think that selling their food directly to the consumers will ensure the long-term stability of the place. To make their products more appealing they want to sell more than just an apple. They plan to diversify their apple and fruit products. In addition, more value-added products are the goal. Ten years ago an E. Coli scare brought about a national movement for pasteurization. It is now illegal to wholesale unpasteurized apple juice. But the people of Michigan resisted the panic. The Phillips Orchard can benefit now by retailing, not wholesaling, their unpasteurized juice and sell it locally. Role in the Food System: Three Roods Farm are producers of organic fruits, vegetables, eggs, poultry, lamb, and raw honey. They practice a combination of biodynamic and permaculture techniques. They also have a strong spiritual connection to their land, often praising through drumming and chanting. Recently, the family reforested 11 acres of their land out of concern for global warming. What makes their place unique is that it runs a CSA through as a ‘Subscription Garden’ in which shareholders visit the farm each week to help harvest. This contrast the typical model in which food is delivered to customers. The name Three Roods Farm comes from the Old English language that describes a rood as one quarter of an acre, the family has ¾ of an acre in production. Challenge: The number of CSA members has dwindled over the past few years for Three Roods. Robin thinks it is because there are a lot more local organic farmers in the area than in the past. She must now compete with bigger operations. Theirs is a small farm that can handle 6 CSA boxes per season. For us it is surprising that even in the ‘niche’ market of local organic produce she must find a niche within a niche. Opportunity: While their farm may not be directly connected to this opportunity they do have a direct connection to someone who helped create a big opportunity for the non-GMO movement. With the Center of Food Safety, their daughter, Sophia, worked on a lawsuit against Monsanto’s use of genetically modified Roundup Ready Alfalfa. The United States Supreme Court ruled in favor of the Center of Food Safety in June of 2010. The decision banned the growing or selling of Roundup Ready Alfalfa. This case sets a major precedent in the fight against genetically modified crops. Role in the Food System: You wouldn’t recognize it from the road, but Plan B Organics is the biggest Community Supported Agiculture farm in Canada. They supply about 800 boxes to families year-round. The farm consists of two families, a few interns and a wily old farm hand named INSERT NAME HERE. The farm stands in sharp contrast to their neighbors who run a conventional commercial flower growing operation. Not only are the physical contours of the land and soil chemistry different but the ideological make-ups are divergent as well. Plan B organics operates on a pro-food sovereignty paradigm. Via Campensina is one group that they are networked with to help build an agrarian movement. They believe in autonomy from corporate chemical suppliers and aim to build direct relationships with their buyers. They want their food to sold and eaten locally. They do not want food dumped from the States, at government subsidized prices, so that it is virtually impossible for them to sell corn at the market. The farm believes in altruism and that a coordinated group effort is more powerful and beautiful than a top-down approach. Challenge: One of the main barriers to success is convenience. Two generations of the super-market mentality makes it difficult for them to sell their non-processed food to the public. One way they overcome this challenge is by offering home delivery. That way a summer box of independent, local, organic produce can appear right at the door and all the costumer has to do is cook. They attack this barrier by offering education as well. Produce boxes come with a leaflet and farm tours are highly encouraged. Opportunity: The business strategy that has been most helpful to their success is the idea of networking. Plan B buys produce from organic farmers all across North America. They figure that if people are going to buy fresh produce in the winter it might as well be organic and not from a corporate giant. Essentially, food is re-sold in the off-season. It creates a year-round income for their farm which is a challenge for most vegetable farmers. An extra 26 weeks of income is added to extend the typical 20-24 week season. But it also keep the food dollars in the hands of local farmers. Trades are also welcomed in the summertime through a multi-farm CSA model. At the beginning of the season the farmers get together and decide to trade their produce in order to increase their CSA box diversity. This works well to keep the money in the hands of the producers because it circumvents the middle men and retailers. Plan B networks very well to increase organic food numbers in the area, boost their yearly income and diverge from the factory food model in order to instill a greater degree of local food sovereignty. Role in the Food System: This small town of 800 humans is actively aiming to feed everyone with local food. The town has a sustainability group that mainly discusses food security and alternative energy. Kathy Harrison is an active member and author of Just In Case. In it, she describes the need to be prepared for unforeseen disaster. In Cummington, the community also has a permaculture group and they raise pigs, chickens and bees. The community groups are independent from one another and the Village Congregation Church but do recognize the need for cooperation and community while remaining autonomous. Challenge: Obviously, this level of coordination does not come without a hiccup or two. A few years back, a rather large media organization wanted to do a story on the sustainability group and their work. So they at their meeting they discussed a media strategy and how they wanted to represent themselves to the public. As a result, the concensus was that no one person should speak on behalf of the group. They believe that one person can’t accurately represent an entire community. For weeks the pending interview was halted. There was lots of talks and disagreement about how to handle the newly found public fame. Finally, a new decision was made. An article was something everyone wanted written and a great opportunity to put their best face forward to the masses. A person was chosen to speak under the conditions that they not embellish any of their successes. The interview went well and the town was excited to shine in a positive light. Opportunity: The biggest opportunity for the Village Congregation is its incredibly strong community. They share talents with their neighbors and tools and jobs is distributed as well. The village has a cooperatively-owned apple press for making cider. Everyone there has changed over their lightbulbs to reduce energy consumption. Plus the Bag-Share program allowed them to stop using paper bags entirely. And its spread to other places. They received some help from the inmates at the nearby prison who sewed bags. Share the Surplus is another successful program that is similar to a food bank. Food from the local farms often finds its way there. It seems that this community will be well prepared in case of an emergency because they are already used to working altruistically for everyone’s benefit. Role in the Food System: Nestled in the Brewery Complex, near the Sam Adam’s Brewery, Bikes not Bombs supplies bikes to sustainable development projects across the world. We decided to learn about their project with Maya Pedal, an agricultural project. The aim of Bikes Not Bombs is to help build a worldwide movement for peace and responsible stewardship of the planet. The method for executing this mission is to redistribute resources in a sustainable and educational way. It is considered a solid alternative to over-consumption, militarism and inequality that create war and environmental destruction. Maya Pedal is an indigenous organization based in Guatemala. Pedal-powered machines do a variety of useful things for farmers who buy them from the manufacturer and distributor, Maya Pedal. A retail bicycle shop generates income to off-set the cost of building these pedal-powered technologies. Lastly, a little known fact is that Pedal Canada helped start Maya Pedal and they’re from our home-base, Vancouver, BC! There are two challenges that come with bicimaquinas. One is cost. Selling the machines at cost plus profit is difficult when most farmers can’t afford it, despite the subsidized bike parts (coming from Bikes Not Bombs). So they overcome this barrier by refurbishing and selling bicycles in the retail shop in order to keep the bicimaquina price affordable. Currently, they are working on building the machines to require less material and labor, and thus less cost. The second challenge is in networking. They want to decentralize the knowledge and market the product to other rural areas. This is hard in regions with few electronic resources. Bikes Not Bombs is partnering with Working Bikes in Chicago to help Maya Pedal in business development. This way they can become a model for other areas to replicate. Disseminating the machines to become a rural movement is key to Maya Pedal and Bikes not Bombs success in building a stronger global movement toward peace and environmental sustainability. Back in June 2009, 500 bikes were shipped to Maya Pedal. Many of these were re-purposed as bicimaquinas (pedal-powered machines) and are used by farmer’s cooperatives and families of the Chimaltenango region of Guatemala where electricity is rare and costly. These machines support agricultural autonomy and reduce the need for petroleum and coal. Another benefit is a reduction in manual labor, traditionally it would take a family a week to de-grain a load of corn but now it takes one person a single day. Carlos Marroquin is the inventor who connected a bicycle drive chain to an agricultural machine and is changing rural Guatemala and beyond. I just want to take the chance to thank you all…. from the parents and friends who supported us, the farmers who have hosted us, and the people on the street who have pointed us in the right direction, this tour could not have been the success it was, without your help. I am now sitting in my parents house in Wisconsin, just wishing that I could be back on my bike, with the loveliest group of traveling companions I could ever ask for. What a joy to feel so free, and to share that feeling with others. Staring in front of my computer screen again, I am certain that the transition to “normal life” is going to be a bit rough. I thoroughly enjoyed moving from town to town, meeting and getting to know people I would have never had the opportunity to approach, eating real food, and living living in the saddle. The trip was an enormous success on all fronts. Of utmost importance, we all survived to tell this tale! What an amazing accomplishment. Looking at the map, it seems like an incredible distance to cover by bicycle. However, while the trip was time consuming, the cycling was not beyond the capability of any of our riders, not even my 57 year old father. If nothing else, I hope we can be an example to everyone that riding your bike is a feasible form of transportation. Its not just something that will get you around the block, but if your bike is nice enough, there is no place that it cannot feasibly take you. To me the greatest success about this whole trip is that I really think the lives of our riders have changed for the better. We all have the confidence that we can use our own power to propel us foward, we have all had a chance to brush up our social interaction skills, we have all learned a thing or two about what healthy food looks like, and I think we have all had a chance to hone in on our critical thinking skills. I know that I am a better person because I have done this tour. I feel stronger physically, mentally, spiritually. I was relaying to one of my best friends the other day about how I was pleasantly surprised about what I learned on this trip. When I first started fantasizing about this tour, I expected we would all learn a lot more about farming, crops, planting and the current food system. While that is true, I think I really learned more about the different ways that people decide to live their lives. As a young person well aware of the millions of choices that I have available for my future, it was really comforting and nice to just get a glimpse into alternative ways of living. Among the nicest things I gathered is that you do not just have to be a farmer to enjoy the idyllic lifestyle of growing food and settling down on a beautiful piece of property. I feel more calm about my own future and know that as long as I surround myself with good people and work at something I love, I am destine for a happy life. What a great realization. Surely, I will be processing these past two months for the next two decades. But let me tell you, it will be hard pressed to have find such nice company, and food that tastes that good. I hope to spend a lot more time creating something to supplement this blog that compiles all the wonderful pictures and stories that go along with the ride. But alas, all good things take time. I will ensure to keep you all informed when I get there. Again, I would like to thank each and every person associated with the ride in any way. Our experiences would not have been as colorful without your support and fresh ideas. I would like to encourage each and every one of you to go out and take some time to adventure, to re-discover this beautiful and ever changing world. I guarantee you will have a net-positive experience and like yourself more because of it. Go outside, go for a bike ride, visit a farm nearby your house, learn more about the food you eat… and bring your friends. Fall is a beautiful time to explore. It’s official: we made it to the East coast by bike. The final three days were soaked with a cold, steady drizzle that made us prove just how much we wanted to complete our full 3500+ miles of biking. 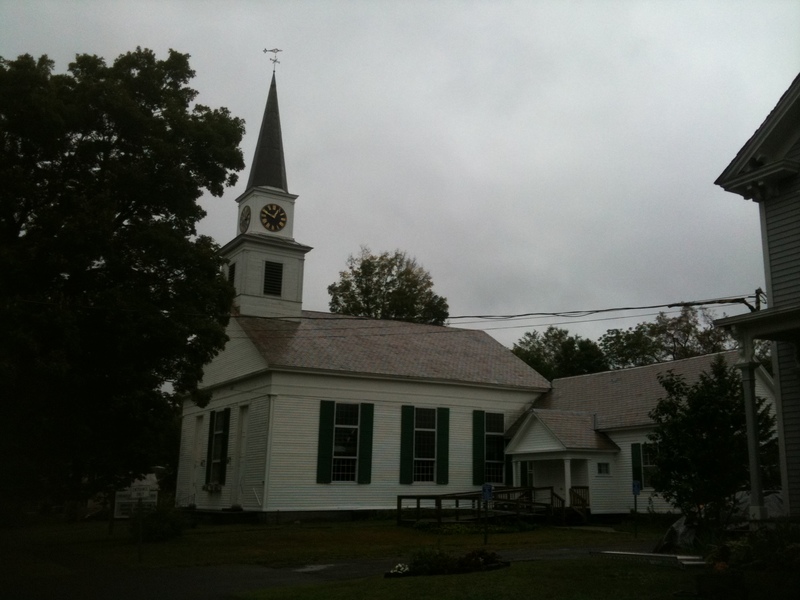 We were fortunate enough to find some warm places to stay on relatively short notice, including the Leicester Unitarian Church and the Village Congregational Church in Cummington, MA. Boston greeted us with some of the tightest roads and most aggressive driving we’ve had the whole trip. Luckily, we are expert cyclists at this point and can dodge traffic like it’s nobody’s business. Our first host in Boston was Sean, who works for Bikes Not Bombs and lives in a housing co-op. Thanks to a consensus decision by his fabulous roommates, we were treated to showers, a warm supper, and a few couches and lots of floor space. We spent the evening drinking and reflecting on the trip. Our plans to go out were tempered by the rain that was still pouring down and our group’s general feeling of never, ever wanting to be wet again. The next day was full of tours and group events, starting with a driving tour of the second largest food distribution center in the U.S. The center is in the city of Chelsea, just outside of Boston, and we were escorted by Katherine who serves on Chelsea’s Board of Health and has been working with the produce companies to retrofit “reefers” (refrigerated trucks) with electric engines that pollute less than the diesel they currently use. 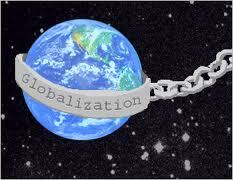 Chelsea has a high population of immigrants and refugees, and a high concentration of pollution and industry. It’s a classic case of environmental injustice and community members like Katherine are trying to work with the companies and government to turn this around. Last night we were treated to a dinner of soup, salad, and bread at the home of a few local activists and spent the night in a house lent to us by a couple who is the friend-of-a-friend-of-a-family-member. It’s ridiculous that we’re still being given so much post-ride, and we couldn’t be more grateful to have a beautiful home on the outskirts of Boston to relax and organize before splitting up and going our separate ways. I won’t attempt to speak for everyone, but I will name a few themes that stand out in my mind as I reflect on our cross-country adventure. Each day, we rely on a diverse and complicated food system made possible by people with all manner of beliefs, lifestyles, techniques, and values. Any discussion of food issues- whether it cover local, organic, industrial, hobby, food sovereignty, etc.- must incorporate the voices and perspectives of each and every one of our food producers. It’s no good for a movement or revolution to be concentrated or accessible only to a small number of like-minded people. This is obviously not an original thought, but one that perhaps needs to be more strongly incorporated in order for more substantial change toward healthier, more local food. Another theme is the incredible generosity that we’ve been lucky enough to find in every state, every town, and every home that has hosted us. All across this country we have shared meals with folks who take time out of their busy day to prepare and serve a meal for a dozen extra people (no small feat). Many of these hosts also welcomed us into their homes to sleep, shower, and relax. I can’t describe or quantify just how much support we’ve received over the past eight weeks, but suffice it to say that I am astounded at the open and loving character of so many people and that it was an absolute pleasure to meet and visit with each of our hosts. I’ll wrap this up with one final observation- since this is getting long and I’m sure others will be posting their final thoughts on this blog eventually, too. Biking across the country is a challenge, but doing it with eleven other people is a lesson in communal living, cooperative work, and self-sacrifice. It is difficult to live in such close quarters with so many other people- most of whom did not know each other at the beginning of this trip. We certainly had our share of spats, misunderstandings, failed communication, and conflicting priorities. But in the end- we made it to Boston in good health and on friendly terms. I think this is an understated success of the trip and one that we might soon forget- the challenge of living and working toward a common goal that just happens to be as physically and mentally intense as biking across a country. A beautiful country, at that. So, so long, folks- thanks so much to all of our supporters and to those of you who have commented and followed our ride. Nobody likes to be soggy. After a cold, wet morning of biking in the rain, our plan of camping for the night grew more and more dreary. While we ate our lunch, Amelia hopped on the horn to attempt to find a dry place to stay for the night. I don’t know how she does it. Destination change: We are now headed to a church in Cummington, Mass. There are no such things as coincidences, but serendipity astounds me. Kathy Harrison, the church caretaker gracious enough to let us stay in the Cummington Village Congregational Church, just happened to be passionate about food security. Harrison even authored a New York Times-praised book titled, Just In Case, about being prepared in case of disaster, high-lighting our culture’s reliance on an unsustainable food system. Harrison told us she has enough food stored for six months in case of unseen disaster. With members of her community, Harrison has been hard at work to make Cummington a more self-sustaining community. The town shares a few hogs, sheep and vegetable gardens, but even she knows there is no way that Cummington could survive on its own. Nonetheless, Harrison emphasized the importance of everyone doing their part to live more sustainably. It’s all about individual efforts to contribute to a larger cause. We’re just trying to do our part. What do I like most about biking? I would say uphills. Although most people think it is the worst part of biking, I believe it is the best because everything that goes up eventually has to go down. Reaching 50 miles per hour on a bike is gives you an adrenaline rush no rollercoaster can provide. Yesterday’s ride was all about this. We have finally entered the mountains in the east coast and I have to say, the Rockies are nothing compared to these. For the first time we had to climb hills that are up to 14% grade, but that also means we are going down -18% grades reaching speeds that were not possible in the Rockies. Yes, it has been more challenging, but at the same time it has been more enjoyable. Yesterday was one of the best days we have had in this ride. We took country roads all the way from Syracuse to Climax, NY enjoying beautiful sceneries and steep hills. At the end of the day there was not one person who was in a bad mood. We were all enjoying the ride to the fullest and remembering why life is so beautiful. Thankfully, the ride was not the end of the day. That evening we arrived at Susie’s Climax Creations Farm where Susie and Bruce greeted us with a party just for us. Their neighbors and friends came over for a night of food and drinks where we all got time to relax and talk. We were able to enjoy some Mac and Cheese, organic chicken from the farm, tarts made by our host Susie, garlic bread, enchiladas brought by the neighbors and much more. Have you ever bitten into a peach so sweet and incredibly soft that it melts to pieces before you have a chance to get your mouth around it? That’s what it’s like to eat a fresh-off-the-tree peach. About 40% of nutrients are lost from fruits and vegetables in the first 24 hours that they’re picked. When you harvest food it instantly begins decaying. It is also at its peak nutrient content when it is most ripe. So can somebody comment on why we pick bananas over a week before they are tree-ripened and then wait until they’re almost brown to eat them? Additionally, we could be eating raspberries, heirloom tomatoes, strawberries, blueberries, peaches, apples or pears locally. Food grown in your region can be eaten within the first 24 hours it’s picked if we build our local food infrastructure correctly. At Brian Phillips Orchard, we tried fresh food that was actually fresh, and it was fantastic. There, the 158-year-old orchard actively strategized how to keep their food local. The couple just finished a newly remodeled rustic-style storefront where they sell cider, apples, donuts and honey. The two are aiming to open a second place just off US highway 127. Phillips Orchards & Cider Mill is expanding in order to do more direct marketing. They plan to diversify their apple and fruit products in order to avoid a second closing of the orchard. Back in the ‘80’s, Brian’s father had to close down the orchard due to bottom-out prices brought by a globalized food price. Traditionally, apples that were unfit for sale were sold to juice companies, but Chinese imported apples were sold at such a low price that making money off of the damaged apples became impossible. So, in order to ensure the long-stability of the place, Brian aims to keep selling his food directly to his consumers. This helps localize the price of his product. As a side effect people near Kent City eat healthier. Just another example of how keeping our food systems local benefit the producer and consumer. This was the gist of what a volunteer at the First United Methodist Church of Rochester said to me. We were outside of the church where we spent the night in Rochester, NY. It was a great place that used the community’s wealth to provide those in need with free breakfast 5 days a week. We ate better than we do on the road: French toast, fruit juice, cereal, sausage and hash browns. But what stuck with me most was the conversation after breakfast. It’s not often we get a harsh, cold reality check on this ride. Regardless of negative perspectives akin to the church volunteer’s, we do not believe in sitting back passively while small farmers are pushed off their land. However futile the struggle for food independence seems, it is better than not struggling at all. The men we met later that night can probably agree. We unexpectedly ended up at the Teen Challenge Center in Syracuse. We were greeted by an extremely welcoming group of men recovering from drug addiction. These men live together in close confines struggling to overcome a rough past. We didn’t plan on staying the night; we only came for dinner. But after meeting them and being offered a place to sleep, we graciously accepted. The food there was amazing. They had so many donations coming in that they didn’t know what to do with it all—unfortunately much of the food went to waste. They have chapters all over the world and in every state in the US. It is led by graduates of the program. To me it seems that it was a sign of a strong organization. We ate like kings both at dinner and breakfast. Later in the AM, an idea to alleviate the food waste problem at Teen Challenge came to our attention. We visited the Kwanzaa Village Community Garden down the block. They had a need for more compost. We suggested that the two groups work together to find a solution. It is not necessarily our place to tell this community what to do but we thought a mutually beneficial suggestion wouldn’t hurt. The women of the garden there were strong advocates for building community. In the middle of a rough neighborhood, they were a beacon of hope for the home-renting community. When the drug addicts kicked in the fence, they rebuilt it and told the entire city they weren’t going away. When we rolled into Midland and Furman on bikes, they were out there gardening and stopped us to say hello and chat. It was an inspirational place to visit only dampened by our short stay. Is it radical to desire food that can be easily tracked back to its source? Is it radical to want to be able to pronounce the ingredients of the food we buy? Is it radical to eat produce shipped in from thousands of miles away; consume milk and beef from cows injected with growth hormones; and eat produce infused with neonicotinoids, a substance modeled after nicotine that is banned in Germany and France? The former must be more radical–after all, many people consider organic and local food movements as just more utopian ideas from hippie liberals. But when you look at thousands of years of human food consumption, today’s current food system is much more radical–and a lot less sustainable. Farm biking Ben Amundson used this line of thought during a discussion at Three Roods Farm, which hosted our group on Tuesday, August 10th. Thanks again to Robin Mallor and Gregory Kruszewski for their hospitality. Greg and Robin’s daughter, Sophia, has done work to combat our radical, industrial food system. With the Center of Food Safety, Sophia worked on a lawsuit against Monsanto’s use of genetically modified Roundup Ready Alfalfa. The United States Supreme Court ruled in favor of the Center of Food Safety in June of 2010, and the decision banned the growing or selling of Roundup Ready Alfalfa. This case set’s a major precedent in the fight against genetically modified crops. Promoting local food systems. After my first six days on the road with the Farm Bikers, I discovered this to be the dominant theme. And why not? Local food systems make sense. I’d rather buy food produced locally and have my hard-earned cash go to someone in my community instead of a faceless corporation that shipped it in from hundreds to thousands of miles away. Not to mention that food simply tastes better fresh. Eat close. Trek bicycles. Today we toured Trek’s corporate headquarters. They are only large company that still produces bicycles in the United States. They used to build all of their bicycles in the US, but competition forced Trek’s production abroad. When your competition is producing bikes much cheaper with foriegn labor, your company sometimes has to follow suit. Building bikes in China and shipping them thousands of miles to the US is much cheaper than producing here–despite the hefty transportation costs involved. These days, Trek only produces their high-end Carbon-Fiber bicycles in the States, built in an expanisve facility in Marshall, Wisconsin. Trek gave us Farm Bikers a tour of this impressive, high-tech process. In a globalized econocmy, Trek can not produce all of their bikes in the US while still competing in the market. In a gloablized economy, it’s cheaper to ship in food from thousands of miles instead of stocking local food. Trek is not at fault. American food providers are not fault. It’s the US policy of imposing complete free-market economies in developing countries while maintaining subsidies at home that is to blame. Our hippocratic foriegn policy for economies abroad creates a system that perpetutates unfair wages in developing countries while eliminating jobs at home. Local is the goal. Both for food and for production of goods. Just to clarify, our blog posts have been lagging a bit and folks are uploading them as they get a chance. The post for Milwaukee was a little late, and we’re now packing up to leave eastern Ontario, and enter Buffalo, N.Y. Hopefully our team of writers will continue backlogging stories as we have Internet access. In the meantime, I’ll give you a quick rundown as I wait for others to finish breakfast. We crossed Lake Michigan in style- waking up at 4 a.m. to bike through sleepy Milwaukee and catch a super fast ferry that landed us in Muskegon, MI that afternoon. Michigan proved to be full of interesting farms and we shared some incredible meals- including those at Earth Keeper Farm, Three Roods Farm, and Domaine Bell Family Farm. We also traded a little work- harvested lettuce, chard, tomatoes, and squash at Earth Keeper, which was a nice switch from the weeding we’ve done almost everywhere else. For some reason, farmers don’t exactly jump at the chance to let eleven strangers handle their produce. We entered Canada via a bridge near Port Huron, MI. Biking up to a huge bridge full of trucks is a pretty sweet feeling that gets significantly sweeter when the border patrol shuts down the entire bridge to allow us to bike over. Which is what happened. Usually they shuttle cyclists across in trucks but we have a pretty big group. Oh yeah- that’s how we roll. Eastern Ontario was pretty flat and metropolitan, and we spent a rest day in London. We scored a house to ourselves through the generosity of Katrina of Downtown Yoga Studios, where we also hosted a screening of a film about migrant labor issues with Mexicans in Ontario’s produce industry. We met two young cyclists named Jodi and Monique, who biked out of town with us the following day. We rode to Plan B Farm just outside of Hamilton, where Mippy ended her cross-country tour by leaving with her parents for her home in Toronto. She had been planning to ride to Toronto from the beginning and we weren’t quite able to convince her to come the full way to Boston, mostly because of the logistics of being so close to home at this particular point in the trip. We each said our goodbyes to one of our most colorful and high-spirited riders, and have been musing about the change in group dynamics that comes with every new or lost rider. From Plan B, we rode to the home of Spencer’s aunt and uncle who were gracious enough to host us on short notice (a farm we had lined up canceled due to illness). Our cyclists had a pretty long day- worked out to be around 80 miles, I think, and we’re looking at an 88-mile day today. I say “our cyclists” because I can’t really count myself in that- I spent most of yesterday either driving the van or lying in the backseat because I’ve had a nasty stomachache for the past few days. I suspect food poisoning of some sort because at least half of our group has felt it at some point or another but it seems to pass pretty quickly. I think I just got hit the worst, or I’m that much more of a pansy. The riding today should be beautiful, though, (biking along the Erie Canal) and there were some scenic stretches of lake and rivertowns yesterday. I’m feeling better and I think most others are, too, and we’ve learned a lesson in keeping our water coolers/bottles super clean and maintaining a fresh food supply. We’ve been stressing these good practices along the way but it only takes one slip for sickness to set in. Only ten or so days left and today we cross back into the U.S. It’s surreal to know that we’re so close to finishing and many of us aren’t quite ready to believe it. Places like southern Washington and Montana feel like forever ago, and it’s hard to imagine a change in life’s pace that doesn’t involve biking seventy miles a day. Nestled in the middle of Milwaukee sits a beacon of environmental knowledge and inspiration known as the Urban Ecology Center. As a hub for all things ecology related, the center specializes in community education, specifically for children. Myself and a few of the other riders were privileged enough to not only get a tour of the center, but also to sit in on an educational seminar. Our friend Charlie (aka CharBee), whom we had met the night before at the Kegel fundraiser party, works part time at the center. After a few beers, our conversation took a turn towards the heated side. We brought up a few stories about beekeeping we had experienced so far on the trip, and to our great pleasure and surprise, Charlie turned out to be an avid beekeeper. In his pursuits, Charlie had experienced numerous problems with the traditional Langstroth (the stacked boxes of bees we usually see) system of housing bees. With bee colonies dwindling around the world and our pollinating friends at the brink of a population collapse, Charlie took it upon himself to research and create an alternative to contemporary methods of beekeeping. Thus, the BeePod was born! An innovative system, the BeePod is a less intrusive, more natural, and safer way to store bees in both urban and rural areas. At the center, Charlie gave us an enthralling lecture on beekeeping 101. We were amazed at how simple beekeeping can actually be, and also how beneficial the little buggers can be for your garden or farm. Overall, our time spent at the Urban Ecology Center was both enlightening and inspiring. The center does an excellent job of both engaging and dramatically improving the quality of life in an urban area. Us urban dwellers often forget how important it truly is to stay connected to the land, and the Urban Ecology Center serves as an opportunity to get involved with the community and nature. Something that seldom presents itself this day and age in a single location.